Note from the editors for readers from outside of the United States: In the US, educational rights for students with disabilities are covered by the federal Individuals with Disabilities Education Act (IDEA). Another piece of legislation, the Americans with Disabilities Act (ADA) also has educational implications. A third piece of legislation, the Family Education Rights and Protection Act (FERPA) transfers privacy rights to students when they reach the age of 18, unless the student grants rights to parents. In the US, the preferred term for substantial limitations in cognitive and adaptive functioning is "intellectual disability", while "learning disability" is reserved for unexpected difficulty in acquiring specific academic skills. Elsewhere in the English-speaking word, "learning disability" is used in referring to people who have substantial limitations in adaptive and cognitive function. There is widely understood to be a continuum of disability (both in physical and cognitive areas): mild, moderate, and severe and profound. There are varying definitions at the US state level, nationally, and internationally. Note from the author: This article is part of a multi-part series about Individual Education Plans (IEPs) and the IEP process in which I go over each part of the IEP in-depth and describe the process from both a teacher perspective and a parent perspective. The complete list of is at the bottom of this post. The transition plan is a required component of IEPs for students 16 years old or older, although most systems begin building a transition plan at age 14, presumably before the student begins high school. For all the anxiety over all the other parts of the IEP, this section probably involves a great deal more fear over the uncertainty of the future. And it should. The end goal of all educational efforts (regular and special education) is for the student to have a successful transition into adulthood and post-school life. Ideally, the student will be able to live and work independently. But for many students with special needs, this is often not a likely scenario. I am a parent of special-needs students, and I teach students with severe and profound disabilities. In some ways, I see myself as an "educational undertaker", because my students have severe and profound disabilities, and are unlikely to be able to live and work without significant, around-the-clock support. For the parents and care-givers of students like mine, contemplating life beyond the protections of IDEA can be frightening. Time passes all too quickly. This was a realization that struck me as my son was in 1st grade, when I first published this article, and now he is in 5th grade and his voice is changing and he is taller than his mother. I still have a few years, but some other parents do not have that luxury. The transition plan is known in some districts as an ITP (individual transition plan). The purpose of it is to plan for what that student will do after high school and then map out a course for getting them there. What parents have to know is: planning for transition should take place, in a parent’s mind, right now. No matter the age of the child, parents are the ones who have to take the much longer view. While teachers, schools and programs come and go, the parent is the one constant in that child’s life. Along with the child, the parents have to live with the consequences of decisions made today. Is the student working towards a regular education diploma? If the student will earn a regular education diploma, will he or she go to college? If the student will earn a regular education diploma, but college is not in the plan, what additional training will be required for employment? After graduating from high school, will the student require services from vocational rehabilitation services? What is the plan to transition the student to services from vocational rehabilitation services? After graduation from high school, where will the student live? If group home/congregate care is in the student's future, what needs to be done to transition the student from living with the parent to a group home? Going back to my role as an educator, generally we try to list student preferences, interests and abilities in the transition plan, and then look at what is possible for the student in our community. My sense is, as the years go by, the ITP should become more detailed and focused. As part of this plan, the student is informed in the year he or she turns 17, at the age of 18, all rights transfer to them. In other words, the student is the one who has then has rights and the student is the one who accepts or rejects service options. As a courtesy, schools keep parents involved. But they don’t have to, under the law. My students have severe and profound disabilities, but they are not excepted from the passage of rights from parents to the student at the age of 18. Rights transfer to them unless the parent or legal guardian applies for and obtains guardianship of that student. This is a process that parents or guardians should initiate soon after the student turns 17. The process takes away rights from the student and grants them to the parent or legal guardian, by declaring the student incompetent. But it is a necessary process, because it protects the student from being abused and taken advantage of by the syste. For less severe students, partial guardianship may be obtained to protect their interests. Why should parents start thinking about this transition process in middle school? One reason is that teachers tend to pass problems along like a proverbial hot potato up the line. As a igh school teacher, I am the end of the line. There’s no place left to toss them except out the door. And out there, is a very cold and bleak world for our kids. There is no IDEA, there is no due process, and there are no procedural safe-guards. No one has to take your kids once they are out. Parents, at that point, you are stuck with whatever happened during the previous 21 years. Planning today for the outcome you wish to see later can pay dividends or at least minimize some of the later headaches. As my son approaches middle school, we are concentrating mostly on making sure he is keeping up academically. At the present time he is able to pass the regular curriculum but with the increased emphasis on state standardized tests, the rigor and pressure also increases. But it is important to persist in efforts to stay on that regular track because once a student falls off and gets behind, it is almost impossible to catch up again. A student who is not in a regular diploma track will have an increased emphasis on job-related skills, while continuing to be served in the academic subjects. For students with developmental disabilities, it is important to attempt to make the transition as seamless as possible since difficulties with transition is often such a defining characteristic for these individuals. A new era has begun for me. All the past years I’ve been going to these state hearings on proposed cuts to special education in Massachusetts. I’ve been one parent out of many parents, professionals, and students protesting cuts to programs that have never been fully funded to begin with. But today I testified at a state hearing on Massachusetts’ proposed cuts to the Adult Foster Care program (AFC), the first time I’ve spoken as a parent on Nat’s behalf -- for his adulthood. I’ve written recently about the AFC program, which is funded through MassHealth and Medicaid, about how this program is part of the new movement to keep those with disabilities in their communities and homes, rather than sending them to nursing homes and institutions; The part AFC plays is that it provides a small stipend to a caregiver (usually a parent, a foster parent, or a hired caregiver) to live in the home of the disabled person 24 hours, 7 days a week. For a Level I case, someone who needs prompts to do almost anything and who needs supervision at all times (Nat is a Level I), the stipend is about $9,000 a year, which when broken down comes to $2.07 an hour. This is the program that Massachusetts feels it must cut by 6.2%. Have you ever tried to hire someone for $2.07 an hour? I couldn’t even get my neighbor’s fifth grader to water my plants for that. Imagine trying to hire someone professional enough to care for Nat in all his glory for that pittance. Or, consider that this money would be to substitute for my salary as an adjunct professor. Or, if I could not care for Nat, then this stipend would be for Ned, currently a software engineer supporting a family of five, who would have to leave his job or reduce his hours. And we are people who are doing well enough, with savings, etc. What are the people who work two jobs to survive supposed to do to support their disabled loved ones? Institutions, you may say. Well, you would be totally wrong. Speaker after speaker from different agencies that administer AFC programs -- about 120 people filled that room -- reported the comparative figures, of nursing home care vs. AFC. Basically, nursing home and institutional care cost twice as much per person as the AFC program. Institutions are becoming a thing of the past, a former era of relegating of individuals with disabilities to the margins, the dingy basement rooms, the closets, the attics of the world. Damnit, I am not going to let that happen to Nat and his friends; 22 years of hard work in school, all those resources and teachers’ energy going into helping him become a person in the world, an individual in his own right, someone who works, who is a team player, and who brightens people’s days with his sunny face. Someone who, prior to his intensive residential education, was at times so destabilized by his environment that he became violent. This created an unhealthy home for my family, including Nat, and especially Ben, my youngest. Imagine growing up, tiny toddler with an out-of-control brother that even your all-powerful parents could do nothing about. What does that do to a person’s view of the world, ability to trust, to manage fear? What does it do for Nat, who is also a person who deserves to survive in this world when I am gone. Families with disabled loved ones need support, or they stand to fall apart. And then who cares for them, who picks up the pieces? Get a good look at some of the street people you see, wandering around dirty and uncared for, talking to themselves ... what is their story? What is their diagnosis, do you think? Trust your instinct. If things are not right, they are not right. Whether at school, or just in general. Don’t listen when the school tells you how great your child is doing socially, academically, or emotionally. Watch what is really going on, don’t just take their word for it. Children make improvements, sure, but are they really improvements that would allow them to be independent when that yellow bus stops coming to your door? The schools also provide terrific support, but their only job is to make sure your child gets through school. A lot of them are wonderful people -- my boys would not have made it without so many of them and their incredible hard work -- but once your child walks out that door, the school's obligation to them ends and their attention is about the next child they need to get through 12th grade. The next step is all up to you and you alone. Have a plan in place for when your children are adults. Don’t assume you can walk into a social services agency the day after graduation and set everything up. Make sure you know, several years in advance, what services are available and how to go about accessing the system. Find out not just what information you will need have to have at the ready, but how long registration takes. I know people who are still trying to get their children into programs and get the state support those kids need, years after graduation. Remember that each step in growth and development is a major transition. Just because your child could function in their classroom or in the school doesn’t mean that they will be good on their own in their next environment. Prepare. Research what your children can do themselves -- independent of all the experts -- once they are either 18 or 21 (the age depends on your state's age of majority). Find out about employment, educational programs and opportunities in your area or state for those with disabilities. Find out about training and vocational programs as well as post secondary college (community or four year). Find out the supports available in these programs and what is and is not allowed. There may be some basic concepts for post secondary education but each post secondary program can make up their own accessibility rules and what they will and will not permit. Do not count on social security or Medicaid. Whether these social programs will be around in the future or not is not the issue; the problem is that just because you feel your child is disabled enough for government support doesn’t mean the government will provide them with adult support (standards are very different when dealing with the government on an adult level). So be aware that they may receive no help, and be glad if they get some backing. Secure a good estate attorney who knows about special needs trusts, trusts in general, and wills. Find out what becoming an adult child’s guardian entails, and make sure that all papers (living wills, healthcare proxies, etc.) are signed when they come of age. Just because you think you can tell the doctors what to do with your child when they are 18 or older doesn’t mean the doctors have to tell you anything or even listen to you at all. My son Collegeman's school wouldn’t event talk to us if he hadn’t signed a piece of paper saying they could, even though they know he has Asperger's. Most of all: stash as much money away as you can. I know it’s hard when you are also spending a fortune on therapies, but see if you can do it. It is money that will help your child when they are adults, whether it is hiring classroom coaches, life skills coaches, more therapists and support personnel. Don’t expect the state or anyone else to do this for you. Hubby turns to me all the time, and says, we should have been smarter. We thought everything was gong to be fine by the time our sons turned 18. We thought we had all the time in the world. So when we started out on our journey oh so many years ago, it never would have dawned on us that over 15 years later, we would still be fighting and learning and doing. We had no idea how much we should have prepared. I'm telling you you need to prepare and make sure that you have those ducks in a row. In just a few months my baby graduates from high school. There will be no more support from the state for him, as was the case with his brother. Yes, the college is wonderful. They allow any supports that the boys need. But we carry all the financial responsibilities. If we couldn’t afford the classroom coaches, neither boy could go to school. They can’t handle attending class independently, plus the school cannot handle their issues, and quite frankly is not legally bound. I don’t blame the school for not being able to handle the boys’ issues. You must understand your own child’s needs and work with the school so your child can learn, grow, and be a participating member of post secondary education, while not inhibiting someone else’s education. College is different. And as we are finding out law school, heck the damn law boards alone, are an eye opener into more of the “real” world for the boys. They are one more thing to have to prepare for. Don’t assume that the battles I'm describing will be over by the time your child gets to adulthood 15 years from now. Some of the issues we are experiencing for Collegeman especially have been going on for decades and remain unresolved. So here I am once again thinking about stress and obligations and feeling maudlin. I shouldn’t, really. There are a lot of new adventures to come and quite frankly things are looking up. A lot of good things are happening right now. It is one of those rare moments in time where everyone is happy and healthy. But, it is unreal that in so many ways the boys actually need more supports as adults than they did when they were little and so much more "disabled." So much more of the support, in fact all of it, is on our backs. My son was diagnosed with Asperger’s syndrome when he was four. The first time someone suggested that Sam might have autism was just after his second birthday. Between those two milestones, we saw two pediatricians, a developmental pediatrician, and a speech pathologist, with inconclusive results. For two years, my husband and I rode a seesaw of emotions, playing “Does He or Doesn’t He Have Autism.” When Sam spontaneously shared his blueberries with a playmate, we breathed easier. When he spun a rattle repeatedly, we worried. When Sam imitated me sweeping, I called my husband triumphantly. When he had a meltdown on the playground after another child attempted to interact with him, I left quickly and did not mention the incident to anyone. Does he respond to his name? If he feels like it. Can he follow three-step directions? He can, although he won’t if he’s in the middle of something else. Will he point to something he wants? Yes. Does he wave hello? Not usually. Does he make eye contact? Yes, with people he knows. We pored over the M-CHAT as if it were scripture, trying to divine its meaning. Its Yes/No structure drove me crazy. We needed a third option. I found the concept of imaginative play particularly confusing. According to the online literature, autistic kids are limited in their imaginative play. Sam was not, at least when playing by himself or with his parents. In addition to engaging in typical pretend games like going grocery shopping or playing with a dollhouse, Sam went through a phase of pretending to be a number. This game was difficult for us to categorize. When he was about three-and-a-half, Sam decided that he was the number eight. This may have been inspired by his favorite CD, They Might Be Giants’ Here Come the 123’s, in which numbers are personified. Or maybe it was just his love of numbers, which is deep and abiding. In any case, my son was the Eight. I was the Ten. His baby brother was the Six. Sam’s father, to his chagrin, was dubbed the Zero. Grandparents and close family friends were given numbers, too. The numbers we were assigned did not vary over time. When I was three, I pretended I was a rabbit. I spent hours building rabbit dens out of sofa cushions and hopping through the vegetable garden. My mother told me later that she was worried about my grasp on reality. For me, though, the number game was a talisman against news I did not want, a shield against the diagnosis I was afraid of hearing. On the other hand, it wasn’t exactly typical behavior. When I asked Sam what he wanted to be for Halloween, he chose to be the Eight. My husband had number t-shirts made for the whole family. We joked that nobody else would have costumes like ours. I wondered if Sam would notice the difference between his shirt and the Darth Vaders or Disney Princesses combing the neighborhood. We began walking from house to house and my son spotted a boy ahead of us dressed as a football player. “Look,” he said excitedly. “He’s a number 17!” We never told Sam that his costume choice was unusual. Whether it was autism or eccentricity, there would be plenty of future occasions when someone would point out Sam’s differences. It wasn’t until I read Tony Attwood’s excellent book, The Complete Guide to Asperger's Syndrome , that I understood the complexity of the syndrome and how it interacts with individual personality in a myriad of ways. It described ways in which Asperger’s kids can incorporate their areas of interest into imaginative games. It helped me realize why the black-and-white answers on the autism checklists couldn’t begin to describe my son -- or anyone -- fully. For two years, my husband and I set up false dichotomies: Is our son an introvert or autistic? Is he hyperlexic or an early reader? Is he gifted or special needs? I’ve come to realize that he could be all of those things simultaneously. By the time Sam was four, his preschool teacher was really concerned. He was sent home three times in one month for tantrums that wouldn’t resolve. His teacher reported that Sam protested every transition and cried every time there was a minor change in the schedule. She also told us gently, “He hasn’t bonded with any of the other kids. That’s unusual.” It was time for us to resolve the question of Sam’s behavior, which led us to an Asperger’s syndrome diagnosis by a neurologist and an evaluation through our school district. Despite my resistance to “labeling” him, the diagnosis has been a blessing. It has given us access to speech therapy. It has provided his preschool teachers a framework for understanding his quirks, as well as a dose of patience for his more challenging behaviors. Had I understood Asperger’s syndrome two years ago, I would have been less frustrated with potty training, which has dragged on for years. I read a dozen books on the subject, and pored over countless postings on online parent forums, looking for a magic clue to make it work. I kept asking, “Why is this so much harder than it is supposed to be?" It took us three tries to successfully transition from pull-ups to underwear. Once, during a failed underwear attempt, I spent days cleaning up pee puddles, trying to maintain my composure. Finally, Sam had the seventh accident of the day, and I lost it. I put my face close to his, and hissed, “That is totally bad.” He touched the angry wrinkles on my forehead and burst into tears. I did too, from shame and frustration. If Sam had been born a generation ago -- before Asperger’s syndrome was a diagnosis in this country, he probably would have fallen through the cracks. Without permission to recognize less intense forms of autism, we would have remained mired in confusion, frustration, and shame. My heart hurts when I imagine him trying to navigate public school unsupported, with no accommodations or empathy on the part of his teachers or classmates. Fortunately, Sam was born in 2006. We have the opportunity to move forward with an understanding of his gifts and challenges. He is able to function in a mainstream preschool classroom with several simple, yet important accommodations. This speaks to the value of the Asperger’s syndrome diagnosis in helping children, rather than the idea that it is make-believe, even for high functioning children who may have “passed” and failed a generation ago. 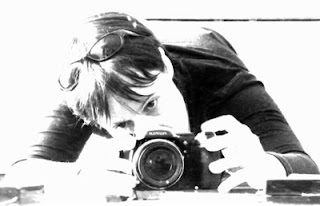 While Sam will continue to have challenges intrinsic to Asperger’s syndrome, we will work to minimize unnecessary pain. I hope that he will eventually be able to take his place in the world with confidence, becoming who he is meant to be. Dr. Paul Offit is the Chief of Pediatric Infectious Diseases at Children's Hospital of Philadelphia, and a relentless advocate for children's health and childhood vaccination. We interviewed Dr. Offit several weeks ago here on The Thinking Person's Guide to Autism, and in a continuing effort to support him with the release of his new book, we are encouraging people to buy the book via Amazon on Monday, February 21, 2011. A frenzy of book-buying could push the title into Amazon's Hot New Release list, raising publicity about the importance and safety of vaccines. Even if you already have a copy of the book, consider purchasing another copy and donating a book to your local public or high school, a health education teacher, or your child's pediatrician. Great video. Clear information. Maybe the perfect video to send your family when you are trying to explain a new autism diagnosis. All images copyright Luna The Moon Girl, used with permission. 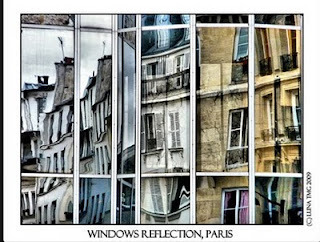 The photographs of an emerging French photographer depict her fascination with reflections, a feature of her autism. The photographer, who uses the online name "Luna" to protect her privacy, has been quietly posting her haunting, evocative images in the Flickr photo sharing website for the last two years. With oddly vibrant colors, they show entrancing and disorienting scenes of overlapping images which trap one's eye in layers of meaning. 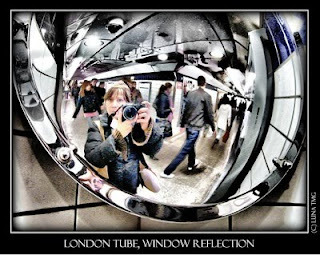 "When I'm shooting, I often see the reflection before the thing which made the reflection. 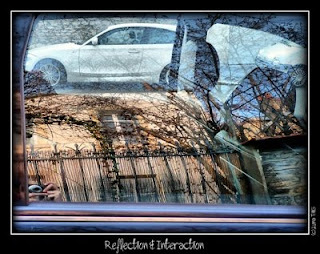 The object is not as important as the reflections. 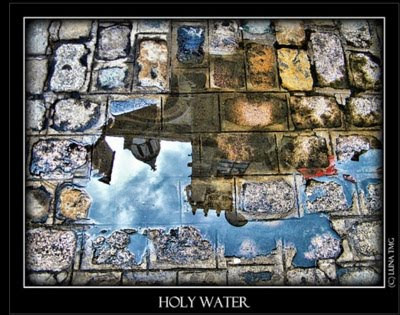 What I can see in a puddle is so moving for my soul, I'm melting with happiness!" Many of her images seem like photo-montages created by combining several other photographs using photo-editing software, but they are not. All of Luna's photographs are actual scenes she has found. Luna began creating her intriguing, jewel-like images about two years ago with encouragement from an online French autism support group she joined in 2007. In 2009, the group hosted a small gallery showing of Luna's photographs in the city of Brest. She had a second show last year, as part of France's National Autism Awareness Week, and there will be a third show in April, 2011. The group has also self-published a book of Luna's work -- which sold out within two days. A second printing is underway. Professional photographer Courtney Bent is astonished by the power of Luna's photos. Bent is nationally known for her work putting cameras in the hands of people with significant physical and cognitive disabilities, helping them share their unique visions of the world. Bent's documentary about this work, "Shooting Beauty", has won numerous awards and she has been featured on NBC News and NPR, and in the Boston Herald. She also teaches photography at the college level and does commercial photography. As one might expect, people often approach Bent and ask her to look at a new "amazing" photograph by someone with a disability. Frequently, the work is only mildly interesting. But Luna's work was different: "I wasn't expecting it to make me go "WOW!" It's rare when I see something that is (this) unique and different." What impresses Bent most is Luna's use of colors. "She really is a master over her color technique," says Bent, "There is a feeling in her images that there's always a storm brewing. But she manages to find the quiet moment within the storm." Bent says Luna achieves this calm-before-the-storm effect by stripping out the color in places at the edges of her images while enhancing the interior colors. Her color choices intrigue Bent: "Luna manages to create a warm, neon tone in her images, which seems to be a contradiction of colors. She is able to weave warm tones of yellow and brown with vibrant neon greens and blues to create an inviting, unique color palette." "She has this amazing ability to create this quiet moment in chaos. It is almost like the chaos is peaceful to her. I'd be curious to find out how she literally views world. It's possible that the outside world appears to be really, really chaotic, and the snap of her camera allows her to create one still moment within the chaos, where the world…. stops… and is finally not moving anymore." Bent is also impressed that Luna's reflection images have multiple layers or planes of images. "Each little portion is an image within itself. So you are allowed to settle peacefully on each little section, and each little section seems to have its own little story." 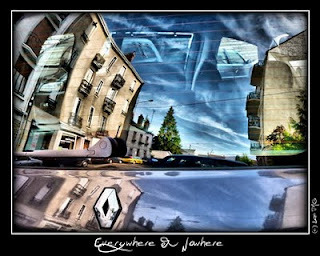 For example, in the image Reflections and Interactions, (a photo of reflections in the passenger window of a parked car) Bent says your eye begins looking through the car window as the "top" or surface layer of the image, then your eye "travels" beyond the car to the scene reflected in the window. "And now we are walking up to the fence. And then we go from the fence over to the side and it looks like "Hmmm, is this another building?" And we're out in the woods now. We've got the trees up above. And now the sky, and I get to go up into the sky." Bent finds this layering of places within the image to be deeply engaging. Despite the sophistication of her photographs, Luna is largely self-taught. She attended three years of art school several years ago and learned some basic photography skills. "We had a photography teacher" she says, "But he wasn't impressed by my work (at this time I was obsessed by macro). I was just an average student for him. You should have seen the poor pics I produced." A few years ago, as she explored vegan cooking, she began taking photographs of her creations and posting them to her online autism group. A member of the group, Sue M. (parent of a child with autism), remembers being stunned by these photos. Usually, Sue says, vegan food does not look very appealing, "You have to be clever to make it look good. But with these, I could practically smell and taste them." In 2009, Luna attended an Asperger event in Paris with Sue and several other members of the online group. Luna brought along a camera and took photos, but, Sue remembers, "She didn't want a photo of any of us, just the reflections." In a restaurant afterward, Luna also took a photo of Sue's dessert, making it look much more appealing in the photo that it looked in real life. "It was amazing," Sue says. After Luna posted the photos to the online autism group, members encouraged her to do more. 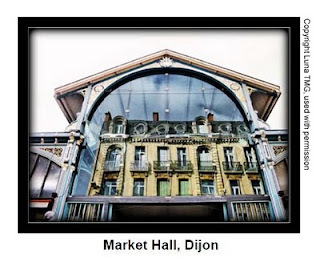 Soon after, she began posting to Flickr and the group hosted her first public showing as part of a fund-raising event in Brest, France. All the prints sold that day. Luna has trouble explaining how she achieves her effects. "People watching my pictures are amazed by the colors of my images, the fact that common things, through my camera and my eyes, are made "beautiful". Well, my secret is… I don't know! LOL." Luna uses simple, free photo-editing software which she finds online ("Photoshop seems too hard for my brain"). Then, "I switch buttons, I play with my mouse, until I'm pleased with the result and I feel well watching my pic." 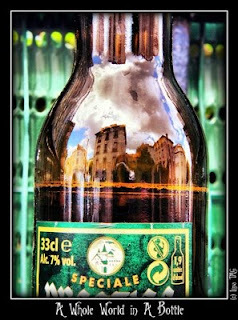 For Luna, her favorite photo is "A Whole World In A Bottle" -- an image of a street scene reflected in a beer bottle, with Luna's trademark haunting colors. This image is important to Luna because, she says, "It represents what I'm living." "Do you know what it’s like living in a painful glass ball? Behind a window, all the time, being aware of this invisible wall that (separates) you from the others, even when you are surrounded with other people or even with your own family?" "I see the world through little details. I must add each of these details, one after the other, to have a general view of things. I don’t really recognize myself in a mirror. I’m a "puzzle-woman", like I was made of different pieces. I mean, it’s like I was a living camera without a body, or just a head and nothing else under. I can see my hand writing on the keyboard but it could be somebody else’s body parts. Strange, hey?" And yet, in all this confusion, Luna finds delight in things most people overlook: "As you can see, I'm hypnotized by reflections. It's the kind of thing that brings so much excitement and joy to me. [In my photos] I wish to put two worlds in one, at the same plane, in a wonderful encounter. These two worlds together are amazingly beautiful. I am speaking about the neurotypical world and the autistic world (the way I am living it, I mean). I think this answer is someway close to the truth." 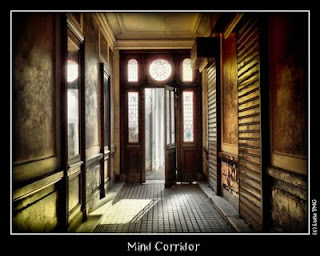 Bent also finds powerful messages in some of Luna's non-reflection photographs, such as Mind Corridor, a photograph of an empty hallway in an old building. "Even in her barren spaces, there's this beautiful warmth through the luminous quality of light in the room. It's once again this sort of… empty, but enlightening, beautiful look into a quiet space. The image has a lonely quality because of its sparseness, but it's also a place that you want to continue to look at and be in. In this particular image, she's pulled the color out of the world beyond the door which evokes a feeling that you're moving in and out of time. She creates a space that allows you to seamlessly flows from past to present." 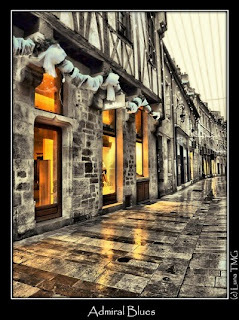 In the meantime, Luna continues to roam the streets and towns of France, "Drowning in happiness" at the reflections she finds, and sharing her remarkable visions online with the rest of us. The Autism Works national conference is presented by the Disability Policy and Studies office of the University of Missouri's School of Health Professions, and by Integrated Behavioral Systems. Details on the Autism Works conference are available at: www.facebook.com/pages/Autism-Works/136057253090452 or at dps.missouri.edu/Autism.html. I certainly do not mean to trivialize the behavior issues that erupt as typical children develop, but the problems of atypical kids are more difficult and less likely to be fully addressed by general pediatricians, family practice physicians, and society at large. A= Antecedent = What happened immediately before the behavior? C= Consequences = How did the parent or teacher respond and/or what kind of reinforcement did the child receive? For example, when David, my autistic son, was three, every time I fastened or unfastened his car seat (antecedent), he screamed and/or pulled my hair (behavior). I would usually say "stop" or sigh loudly (consequence) and try to get him in the seat as fast as possible. I tried distracting him with good toys or singing but nothing worked. I even cut my hair. He responded the same way regardless of the car or the type of seat. David began seeing a certified behavior analyst for applied behavior analysis, ABA (click for video) to help with his language.She calmly watched as I struggled to get him in the car after a therapy session. She suggested I ignore the behavior. She said, "Be a robot. Say nothing. No anxiety or anger. No extra singing or extra toys to attempt distraction." It was really hard. After about 3 weeks, the months and months of hair pulling stopped. As it became apparent, I was inadvertently reinforcing his resistance to the car seat by making sounds that he liked -- either the "stop!" or the sighing -- or both. Autistic children are motivated by positive reinforcement, but the trick is identifying the powerful reinforcers, as these are often different than the social reinforcers used to discipline most children. Discipline issues are never easy, especially with children who have limited communication skills. According to the American Academy of Pediatrics (AAP) policy statement on discipline, parents are more likely to use aversive techniques like spanking when they are angry or irritable, depressed, fatigued, or stressed.Although I cannot speak for all the caregivers of developmentally delayed children, one of these adjectives describes me all the time. The policy statement also mentions that spanking can be a positive reinforcer for children much like my firm "stop it" or sighing were for David. The policy does not address developmentally delayed or autistic children. The AAP policy statement on the maltreatment of children with disabilities discusses the issue, but I hope most pediatricians address behavior management techniques before there is concern about maltreatment. Parents have low expectations. Many families assume that routine check ups for a child with autism are for vaccinations and other non-mental or behavioral health issues. Many families have seen or are actively seeing a developmental pediatrician or psychiatrist. Ask if these professionals are accessible and helpful when it comes to the very practical issue of daily discipline. If concerns are not being addressed, send your patients elsewhere. Sometimes just talking helps families find focus and prioritize what they juggle everyday. 3. Know where to send your patients. My husband and I are both general pediatricians. Most of what we know about the evolution of disordered and/or delayed development we learned from practical experience with our son. Granted we trained ten years ago, but residents still are not learning what they need to know to help special needs kids and their families. Do you know the specific schools or programs in your community that excel for children with cerebral palsy, developmental delays, or autism? Which therapies do you suggest and for what reason? Not all therapists are equally skilled, which is especially true if the child is seeing a therapist via a state early intervention program. When we lived in Oregon, we received excellent speech (SLP) and occupational therapy (OT) from early intervention. Then we moved to Ohio where we did not "qualify" for therapies because we were privately insured. Music therapy and aquatics, although not paid for by insurers, are ideal for certain kids. If you reflexively send special-needs patients to the triad of occupational therapy (OT), physical therapy (PT) and Speech Language therapy (SLP), without determining a child's unique needs, the family's insurance, and what your patient's Special Education Local Area Plan (SELPA) offers, you are not providing a true medical home. One thing you can do is to enlist the help of parents of special-needs children in your practice. Ask if they would mind if a parent in need contacted them. We wish desperately that a primary care doctor or specialist had done that for us, especially when we first relocated. 4. Send your patients to a certified behavior analyst with experience using ABA. Although many of the studies supporting ABA were done with autistic children, non-autistic children with developmental delays benefit as well. Any professional who tells you he uses an "eclectic" approach is not really using any solid approach. While there are some other developmental models for teaching children with autism or language delays -- Floortime, Relationship Development Intervention (RDI), Hanen -- if a child has significant behavior problems, ABA is your best bet. ABA is the most empirically proven reproducible method to improve functional behavior, social, and academic skills in a variety of settings for a range of diagnoses. 5. Advocate for insurance reimbursement. While I endorse ABA, it is only paid for in a handful of states through early intervention, Medicaid, private insurance, or the school district. Otherwise, you will just have to hope your patient's family has significant financial means. Until pediatricians, psychologists, certified behavior analysts and/or psychiatrists get paid for counseling in detail about behavior modification, families will continue to experience long waiting lists for available services, and limited options. General pediatricians in private practice cannot spend 45 minutes troubleshooting why an autistic child rips his mother's hair out when placed in a car seat.A dedicated pediatrician might do phone follow up over a few days and help the mom keep ABC (antecedent, behavior, consequence) data, but she will not get paid. If you want private insurance to help, wait until the child pulls out everybody's hair and becomes a danger to himself or others. Then he can go to the ER while he waits for a bed at a an inpatient psychiatric facility. Obviously, I am not seriously advocating this course, as it is not humane -- or cost effective. Legislation in various states attempts to compel insurers to pay for autism therapies, but loopholes almost universally allow insurers to weasel out of reimbursing for ABA. 6. Say NO to drugs as a first line approach. Say this three times out loud: "No medication should be started without an effective behavior plan. No medication should be started without an effective behavior plan. No medication should be started without an effective behavior plan. Although the AAP policy statement on the management of children with autism advocates for this approach, (published November 1, 2007; reaffirmed December 1, 2010) the AAP policy statement does not mention discipline strategies in any detail nor does it broach the subject of child maltreatment. It spends one paragraph on the importance of a behavior plan for an a child with "challenging behaviors," and then three and half pages on drugs, most of which are not well studied. There is a one page table that suggests specific classes of drugs for specific problems. Why isn't there a comparable table illustrating behavioral solutions or approaches to common problem behaviors? The policy statement assumes that you will be able to easily send the child to a specialist for a functional behavior analysis while you get ready to write the prescription. Imagine if pediatricians or family practice physicians handled asthma this way. The child would arrive at the office coughing and dyspneic [short of breath]. We would administer albuterol, oxygen and/or steroids while his mother sits next to him smoking a pack of cigarettes. 7. Help your patients' parents develop meaningful familial supports before crisis. Of course an effective behavior plan requires not only an experienced professional for design but a motivated caretaker to implement. Personally, I can think of a handful of occasions when I would have benefited from a therapist in my home for intense short periods -- for example, when toilet training. Here is one example: I write lots of prescriptions for diapers and incontinence undergarments for autistic children older than five, so that the parents can be compensated for the cost of these items. Many, if not most, children with autism can be toilet trained -- if their parents or caregivers have help from experienced professionals in this area. However, in my state, Medicaid pays for all the diapers you want but will not pay for any ABA or in-home behavior management. 8. Stop making parents the only "experts" on their child. We do not diagnose a child with muscular dystrophy, brain cancer, or blindness, and then tell her parents that they are the real experts, but you will be available for consultation. We do not reassure parents of a child with these diagnoses that if things get too bad, they can go to the ER or call one of the triad: OT/PT/Speech for help. We should not use this approach for parents of children with an autism diagnosis. How can we go from institutionalizing children with autism and blaming the disorder on their parents -- just 40 years ago -- to making parents the experts on autism treatments? I like the idea of bridging this gap by "hospitalizing" the child and bringing the behaviorist to the house. I dream big. In the meantime, YouTube has great videos of families using RDI (sample search) or ABA (sample search). Autism Speaks now has its own channel. It is sad that no physician has ever suggested to us -- fellow physicians -- that we could use resources such as online videos as a way for us to learn about therapies. Describing behavior therapies is like writing an essay about how to Salsa. Encourage families to find a way to observe it in action. 9. Advocate for better training for folks on the front line. Who are those on the front line? Social workers, early intervention educators, caseworkers from your state's developmental and /or cognitive service provider, special education teachers, and therapists -- those are the front-line folks you will meet. All need ongoing training -- in advances in remediation, and advances in what is known about education and behavior management for people with developmental delays. With social media and telemedicine there is no reason that individuals well-versed in behavior management cannot help children even in the most remote areas. I know a marvelous occupational therapist who worked full time with autistic children. She cut back her hours because of fatigue. She wants so much to help train other people, but there is no way for her to make a living that way. Sometimes schools, counties, insurance companies, and large free standing children's hospitals do not want to pay for consultation with a behavior specialist, or allow their employees to take time away from client duties to get better trained. In the big picture, it would not only save money it would save lives. 10. Stop corporal punishment in schools and in homes. Human Rights Watch reported that children with disabilities including those with autism were more likely to endure corporal punishment in schools than their typical peers. Nobody would ever know if I hit my son on a regular basis. Although he is verbal, he would never be able to articulate abuse to anyone. There are limited studies on what parents do in the home for discipline. Most parents understand that their children are fragile and different. However, they lead incredibly stressful lives with very limited respite options. They need techniques to combat aggressive behavior effectively and safely. According to Tim Shriver, Chairman and CEO of the Special Olympics, FX is currently the only TV network that bans the word "retard." Bullying of people with special needs remains entrenched, and insidious. According to AbilityPath.org, "Some reports estimate that nearly 85 percent of children with special needs experience bullying." But it doesn't need to stay that way. In partnership with the Special Olympics and Best Buddies, Abilitypath.org is launching a nationwide “Disable Bullying” campaign that will "engage a broad coalition of parents, educators, activists and policymakers to prevent and combat behavior that is widespread but has until now not been clearly documented." AbilityPath.org is an online hub and special needs community for parents and professionals, which provides over 90 years of experience serving individuals with disabilities through the nonprofit that created it, Community Gatepath (www.gatepath.com). Their staff and network of doctors, therapists and early childhood specialists are experts in serving the needs of adults and children with disabilities; however, it was realized that very few in their industry are experts when it comes to bullying and the child with special needs. Educate all parents on the issue. Both parents and experts shared with AbilityPath.org the limited information that is available specific to the issues faced by children with special needs. Empower parents and educators to take action and apply meaningful change in the classroom and these children’s lives by providing educational as well as legal options in an effort to prevent and/or fight back against the actions bullies. Assist the actions of policy makers, school administrators and professionals in a team effort to ensure that this issue is at the forefront in the public arena when bullying is discussed, researched or legislated. It is clear that the U.S. is nearly a decade behind other nations when implementing, legislating or researching policies regarding bullying and children with special needs. Special education programs and inclusion efforts have opened doors for thousands of children with special needs. Yet, those very doors may have also made them vulnerable to bullying. Children with special needs use the Internet as much as, if not more than, other students. While the technology provides a more fluid means of interacting with peers and opens up a new potential pool of social contacts, researchers also know that it provides a completely unfiltered method for bullies to attack and harass children with special needs outside of the classroom. More research is necessary to gauge what kind of a threat cyber-bullying is to children with special needs. “Because of difficulties with social interaction and the inability to read social cues, children with autism and Asperger’s syndrome have higher rates of peer rejection and higher frequencies of verbal and physical attacks,” said Robin Kowalski, a psychology professor at Clemson University in Clemson, S.C.
Students with developmental disabilities may have difficulty paying attention to more than one piece of information, which may cause them to stay “stuck” in a conversation. Such actions can have adverse effects on their social skills and make it difficult for them to hold conversations and make friends. It was instructive to hear everyone's plans, and the reminders for constant vigilance and advocacy for kids who might not be able to speak up for themselves (though Lauren related an incident in which boys started harassing her, and she told them off, saying they should "grow up already."). Personally, I would have appreciated more information on advocating for kids like my son Leo in the community, not just at school -- but that is not where the majority of bullying takes place. Please read the entire report [PDF] -- it's important. Then email or give print copies to every teacher, every administrator, and every community leader you know. Our kids are depending on you. Editors' note: While some of the referenced documents discuss parents who seek "cures" for their children with autism, it is our opinion that overall Autism Speaks advises those parents to seek evidence-based supports and therapies. There aren’t too many jobs for a crackerjack Nintendo player, but Mickey is learning other skills. At 18, he attends the Comprehensive Support Program at our local public high school. But no one program can ever be fully comprehensive. We also run a home-based program to address self-help goals, and send him three mornings a week to a vocational and life skills program at an A.B.A.-based learning center. Last year, Mickey was proud of his job at our town library, where he alphabetized and shelved DVDs. He has also liked sorting mail for the high school office staff and distributing newspapers to classrooms, singing out a cheery, “Speedy Delivery!” each time. With the assistance of a job coach this year, he does data entry at the Red Cross one morning a week. He is building a resumé of work experiences. But his biggest challenge isn’t acquiring basic work skills; it’s learning social behaviors in the community and in the work place, such as greeting others appropriately, modulating his voice, or knowing that if a task gets too challenging, you don’t say, “I’m out of here!” and make a run for it. His dad and I have dealt with the mechanics of protecting Mickey’s future: we’ve created a special needs trust, rewritten our wills, and petitioned the court for legal guardianship. But there are still fears that make my heart race. What happens three years from now when that little yellow school bus stops coming to our front door? How do we build a full life for him after high school? Where will he live? He has had seizures for many years; even now they are not fully under control. How will that impede his desire for greater independence? And what of our ultimate dread: who will love him when we are gone? When Mickey was diagnosed 16 years ago, there was no road map to tell us what lay ahead. In the years since, Autism Speaks stepped in to fill that need with the 100 Day Kit, a tool that gives families the critical information they need after a child has been diagnosed with autism. Parents of children aging out of the school system face a similar juncture, standing at the foot of a mountain that can look insurmountable. The new Transition Tool Kit will given them the traction they’ll need for the climb. We are giving Mickey all the grounding and love we have. We hope he will soar. This essay was originally published at the Autism Speaks blog. Editors' note: "Gifted" -- meaning a person of substantially above-average intellectual or cognitive abilities -- has various meanings and implications across the English-speaking world. In the US, education is publicly funded and provided from kindergarten (approximately age 5) through 12th grade (approximately age 18). There have been various federal and state programs and mandates addressing the educational needs of "gifted and talented" children in public school, which have generated various definitions and dividing lines. One of the central concepts in the English-speaking world about "giftedness" in children is "asynchronous development" -- the child is in some domains developing in a range of normal for his or her age; and in other domains, is far ahead of same-age peers. A key concept in "giftedness" is exceptionality -- the child who is gifted is rare -- "one in a hundred thousand" or "one in a million". A second key concept is "twice exceptional" -- a gifted child may also have significant barriers to expressing her abilities in the standard academic settings, such as a specific learning disability in the area of reading, writing, or math, or have other challenges such as ADHD or autism spectrum disorders (ASD). In the world of the autism spectrum, much attention is paid to the behavioral and communications challenges inherent to the disorders. Because spectrum behaviors can be quite noticeable, they tend to come to the forefront of parenting and educational concerns. Certainly the spectrum behaviors may be in greater need of immediate intervention - they are more likely to create distress for the child and for others around her - but awareness of other differences must also be given due consideration. Many children with Asperger’s Syndrome are of higher than average intelligence. In fact, quite a few fall into the gifted range. If your child is one of these, it’s important to understand what “gifted” means. (Hint: It has nothing to do with academic achievement.) Giftedness is a neurological difference just as is autism in its many flavors. The bigger picture includes not only academic potential but also the challenges of developmental asynchrony that can lead to an overlap with spectrum characteristics. The higher the overall IQ, the more likely there is to be a dual diagnosis. Distinguishing which characteristics belong to which diagnosis can be challenging, and occasionally useful as part of the process of understanding who your child really is. One of the key questions you’ll need to answer is how one calibrates a “normal” range of behaviors. If you have a child who is twice exceptional - gifted, with another diagnosis such as ASD - it helps to learn what is “normal” for gifted as well as “normal” for ASD. When you have met one autistic child, you have met one autistic child. It’s the same for the twice-exceptional (2e) child: they are all different. Once you reach a point of diagnosis, you need to follow up with understanding of what it all means in practical terms. Are your child’s behaviors truly problematic, or do you find them disturbing because they don’t fit your mental image of how a child - or your child - should behave? Does the child need to change, or might they be perfectly fine with a different educational environment or an alternative set of expectations? As adults, we are more able to adjust our parenting or teaching style to meet them where they are than a growing child is able to become someone they are not. It’s important to value our children as individuals, even if they are not the children we expected them to be. The tragedy of our society is the rush to services that are geared specifically at inculcating conformity as opposed to helping the child develop into the unique adult they will eventually become. We easily forget that the goal isn’t a well-behaved child but a happy, successful and independent adult. An intervention is deemed “successful” when the child appears to behave just like all of the other kids, but little attention is paid to the long term goal or the ramifications of forcing square pegs into round holes. For example, one issue that drives adults to place their 2e ASD children in a social skills remediation group is the concern that their child must “learn to get along with his age peers.” But let’s deconstruct that: Let’s say the child in question is in 6th grade. He interacts successfully with the college-aged students who live in his university town, with whom he can connect intellectually and who behave appropriately with him. The child has difficulty, however, in relating to other 6th graders. Is the problem the child’s inability to interact with 6th graders - is this a useful life skill for anyone besides perhaps a 6th grade teacher? - or is the problem that the child has progressed directly to an adult level in that particular arena and really needs to wait for his age peers to catch up with him? Perhaps his age peers don’t understand his complex ideas, and can’t follow the level of communication that interests our boy. It may be that the rowdy jostling of the playground holds less interest for him than an in depth discussion of quantum theory and time travel. Typically, this is a child who would be referred to a social skills group to learn to “get along” - which is a code phrase for learning to “act like all the other kids”. But who are we to say that every child must have a goal of being athletic, extroverted, and socially graceful? Not even every neurotypical child shares these traits; there is no need to hold them as standards for all. In the end, the child is developing at the pace that is right for them. If they need help, it should be provided; some children do benefit from social skills groups and no child should be left unable to function out in the real world. It’s important to distinguish between crucial social development and learning to be just like everyone else for the convenience of the adults in their lives. Children shouldn’t be put in a place where their asynchronies are frowned upon and they are made to feel ‘bad or ‘wrong’ for who they are - by adults or other children. According to general development theory, children learn one step at a time, a little bit as they go. However, this is not a universal truth. For the child who learns in chunks, out of presumed order, or in a whole-to-part manner, imposing a sequential expectation on them is simply wrong. The damage done to a child who is held to unreasonable standards will teach them only that they are somehow less than all of the others, in need of extra help, and even defective. Meanwhile, by the time they reach 20 or 25 years old, no one will care if they learned the same skills in the same order and in the same place as everyone else -- only that they did, eventually, learn those skills. In order to find what is driving your child and identify the issues underlying their challenging behaviors, or to understand what it is they are struggling to communicate, you must put together all of the pieces of who they are -- not just the ones that jump out and bite you. Don’t stop with the first diagnosis if it doesn’t cover all the bases. Consider suggested remediation in the context of the whole child rather than slapping a bandaid on a single behavior or set of behaviors. Trust your instincts as a parent. Ask why the child is behaving in a particular way instead of assuming it’s all any single label. Maybe it is... but maybe it’s not. Presuppositions. We all know what they are -- but what part do they play in our interactions? Reading the works of such neurologists as Oliver Sacks and V. Ramachandran - it becomes clear that the variation in the human experience is very affected by how our brains interpret the world around us, and this varies widely. For example, my brain is not particularly efficient in decoding sounds and speech. The net result is that sometimes there's a noticeable delay between my hearing a sound, and my brain decoding it. I'll hear some muffled, unrecognizable sound, say "What? ", then a second later my brain will decode it as speech. What does this lead to when the other person makes the assumption that my hearing/neurology is "normal"? The presupposition that I really heard them in the first place then lied about it, which is not true at all. Sharon daVanport is the executive director of the Autism Women's Network and the host of the AWN Radio Show. She's a mom to four children -- one of whom has Asperger's -- and she is a tireless advocate for women and children, particularly those whose lives have been touched by domestic violence. She is also an adult who has Asperger's Syndrome. TPGA contributor and BlogHer contributing editor Mir Kamin was lucky enough to spend some time chatting with Sharon for Autism Awareness Month. Can you tell me about how/when you were diagnosed with Asperger's? I always like to remind people that even though I was diagnosed as an adult, it didn't mean I became autistic as an adult. But it explains so much, everything really, so well, now that I know. My 17-year-old son was diagnosed with Asperger's in kindergarten. His therapist later said she knew about me right from intake. She could just tell because of the way I answered questions and by the way I related to him. She said that only parents on the spectrum are like that; it's very different with a neurotypical parent. She saw an obvious difference. We relate to our children in a very unique way. But I wasn't her client or her patient, so she didn't feel it was necessary to say anything to me. Several years later, she was doing sibling and family therapy, and so we were really engaged with her, and she knew our family very well, and finally she thought she'd mention to me that maybe I should be assessed. I was having a hard time socializing and at work. She posed a question to me about what I thought about seeing how autism runs in the family. I said "Yeah, I think there's some genetic components there." She said "Really?" and she just kept looking at me. I said "there are a few people in my family who are 'spectrumy.'" She asked if I thought about being assessed, and I laughed! I was 43, she said "Your son is 13, that's a huge age difference, and you're female and he's male ... have you ever thought about talking to your parents and asking them some questions?" I said I'd never thought of it, but I didn't see it at all. She said "I want you to take this whole conversation about communication and socialization and write it down and think about it." I went home and wrote it all down, and it was so amazing. I was having so many issues, and I was like "Oh my gosh, I should probably have this checked out." But I wasn't ready, I was still in shock. Learning to adapt, learning to pretend; you laugh when other people do, you figure everyone does that. I waited about six months to get assessed. I would say, "Well, I'm thinking about it, I'm talking to family, I'm not quite there yet." It took a long time to wrap my brain around it. It seemed so foreign. But then when I started realizing this is exactly what I'm like ... there's such a distinct difference between women and men with Asperger's ... we're often diagnosed in adulthood. We fly under the radar. I don't want to see a lot of people going through what I went through. How did your parents react when you started talking about this with them? One day I asked my mom, "What would you do if I said there was a psychologist who said I should see if I'm also on the spectrum like [my son]?" And she said it would sure explain a lot of things. She thought I had some major issues with my communication skills. I wasn't anti-social, but I didn't have as much of a desire to socialize as my siblings. She said there were a lot of issues as a parent ... and when my son was diagnosed she'd always thought there was something there, but told me she didn't think it was her place to say so. We spoke for two hours. She reminded me of things where I went "That's exactly like things my son has done!" As a kid, I would scream about socks, because the seams were bugging me. Sounds sometimes set me off. I had issues with foods and taste -- gagging on certain things. Never with my siblings, always with me. I'd forgotten so much of that ... well, not forgotten, but just never thought about it. It's just who I am. I said to her, "My siblings never had any of that?" She got choked up and said, "No, and no one would ever listen to me." She told me that she always had a lot of confidence in me, but that she worried the most about me, too. My mother has been someone who was definitely like, "Oh my gosh, it makes so much sense!" My mother was raising me in a time when there wasn't an available diagnosis. You just didn't hear about giving kids support in their family if they were doing good in school. It was just a "family situation." But you've got family looking at you like "What's wrong?" My mother knew there was something different, we just never knew exactly what it was. What has it been like, for you, to have a diagnosis now? Is it positive or negative? Do you regret not knowing sooner? I grew up in a time when adults weren't afraid to hold children accountable. My parents had expectations. They held me to the same standards, and I think in the long run that benefited me. I still would rather they'd known; I think it would've been easier. Flying under the radar for so many years ... I went through a lot. Communication means everything, and I try to tell people that just because we've mastered speaking doesn't mean we've mastered language. Those of us with Asperger's have a huge deficit. We often have an invisible disability. We don't appear to have any challenge going on, but I panic inside when I can't figure out what someone's thinking. No one can see that, so they think I'm just fine. The invisible part of it is the huge challenge. It's been very empowering to accept that I do process information differently than the majority of the world. Even though it's been kind of a vacillating journey, for the most part it's been very positive. It's answered so many questions. It helped me to set up the supports I need to make sure I'm understanding everyone. By the time you hit your 40s you've learned how to cope ... but [those of us diagnosed later in life] went through the school of hard knocks to get there. You have four children, one of whom has Asperger's. As an Aspie parenting an Aspie: Does that make it harder or easier? I tend to relate to and "get" him on a level I don't get my other kids. Neurotypical teens -- oh my goodness! I couldn't relate; I never wanted to go to the mall and hang out with my friends. "Why do you want to do that?" There's not that gap there with my Aspie son. My parenting comes more naturally when it comes to him. And he gets me. My oldest kids always used to tease, "Oh, you were perfect, you never got in trouble." They're right, but only because I never went out or had a chance to get in trouble. However, my son on the spectrum also comes with an extra set of stuff going on. There's more attention that needs to be paid to him on a different level. There's different things I need to study and read about so that I can understand what he's going through. I didn't have to deal with male adolescence! So it goes both ways. He has a higher level of needs, and that can be more challenging. Talk to me a little bit about the differences between male and female Aspies. The female brain is different than the male brain. We tend to hold our peers to a higher standard, girls do. We're not as forgiving. We expect people to go with the flow. Also, remember that girls mature earlier. Dr. Attwood believes females on the spectrum are completely psychic. He's said, "I remind them to trust their guts, because they misunderstand language and then doubt their guts." It's instinct, it's not voodoo. So with all of that, girls on the spectrum are much more likely to "fly under the radar." Some of it is instinct and some of it is that we face more pressure to conform. It's natural as a parent to parent boys and girls differently -- and they are different. The greater the understanding of the entire spectrum, the more we can help everyone, male and female. What do you wish every parent with a child on the spectrum could know? I tell parents to be really in tune with their kids. People with Asperger's are several years behind emotionally. You have to remember that. Their emotional capabilities are at a much younger age level. It doesn't look quite right to society. So many things that our kids do look like they're being "bad" and 99 percent of the time it's something sensory. I would always go up and ask, "Why did you take that balloon away from that other little boy?" rather than assuming he was being naughty. And he would say, "That balloon is going to pop, and when it does it will make me feel sick and give me a headache." See, he wasn't being mean, he was scared of what he thought was going to happen. So then I say "Okay, but we need to go explain that. You can't just take it." Remember that as a parent you should always guide your child by using their strengths. Advocate in communities and schools for people to teach to them with their strengths, not their weaknesses. Approach them with a view of their strengths instead of looking to accommodate weakness. People usually rise to the occasion. Children most often do. Remind yourself of that every day. I think it changes the dynamic. I would like to see IEPs not centered around deficits and challenges. Acknowledge them, yes, but also acknowledge strengths, and center the plan around the strengths and then just support the challenges. Imagine what that would look like. How do you feel about the proposed elimination of the Asperger's diagnosis from the DSM? I see both sides, honestly. I'm very mixed. I've seen benefits and deficits coming from this on both sides. People with Asperger's -- children and adults -- have lack of services because insurance companies and Medicaid do not recognize Asperger's as being something they will pay for, because they're not "autistic," they have Asperger's. That's been a challenge, and people with Asperger's have been denied a lot. But on the other side, I feel like lumping us together says it's not a spectrum. I would like to see them keep it in there but acknowledge it's on the spectrum in a way to where it gets benefits. They tried to make them too separate. I'm good with a change if it still explains how Asperger's presents. My only fear ... I don't want to see people with Asperger's fall off from support altogether. It could be a huge upheaval. I'm kind of okay with how it's always been. Mostly, I would love the DSM to include it in a way so that insurance can't be denied. I worry about the adults if the changes come through. I worry that adult services for Asperger's will be decreased or eliminated, and there are just as many autistic adults as kids. What does Autism Awareness mean to you? It doesn't mean just being out in our community and talking about what the DSM says. It isn't just talking about what it is, it's talking about the personal experiences of autism -- how it impacts families, education, what are the supports needed for children and adults. It means understanding the differences between males and females on the spectrum, because it will help everyone understand the spectrum as a whole. It's not just saying "It's Autism Awareness Month!" and that's it. Not just saying those buzzwords that get thrown around in April. It's talking about the hard stuff. And what are we going to do about it. What are we asking our educators to do for our children? What are we asking of our communities?